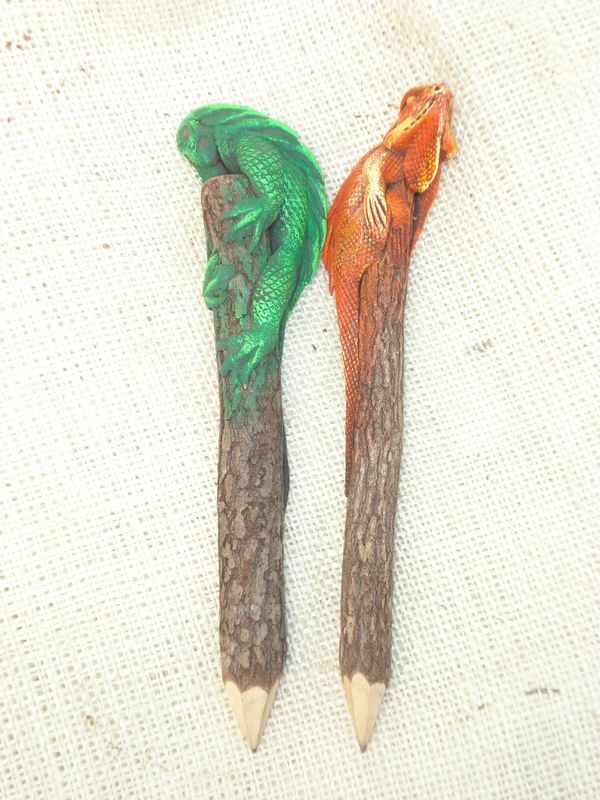 These handcrafted twig pencils have a handmade iguana wrapped around. Great for kids. Available Colors: Green, Red-Orange and Multicolor.